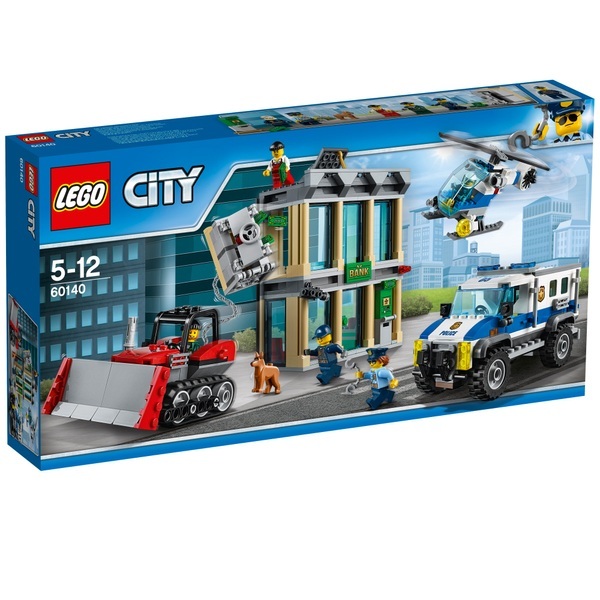 Be part of the action with the LEGO City Police Bulldozer Break-in 60140 as they protect the bank’s safe and ATM from the crooks and their bulldozer. Call in the high security team. The crooks are breaking into the bank! Load the gear into the police truck, then order up the helicopter with searchlight so you can keep an eye on the scene. Look out for the crooks’ bulldozer; they’re trying to pull the safe from the wall! Use the police, police dog and high security team to surround the crooks, stop the break-in and recover the loot!